Hunter 53200 Italian Countryside Fan with Blades and Light Kit - 52"
Home > Home Improvement > Fans > All Ceiling Fans > Hunter 53200 Italian Countryside Fan with Blades and Light Kit - 52"
To add a splash of charm and sophistication to any room, choose the Italian Countryside Ceiling Fan with Fan Blades and a Light Kit from the Hunter Fan Company. 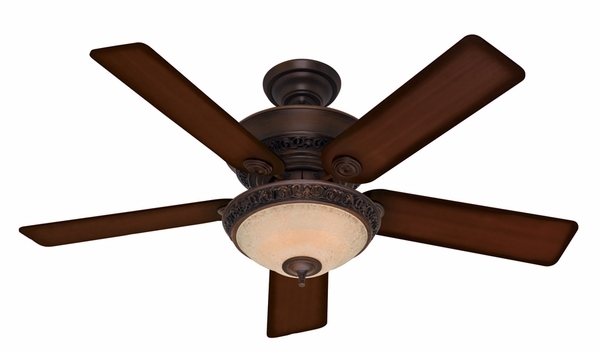 The Italian Countryside Ceiling Fan features a beautiful cocoa toned finish with five reversible fan blades in aged barn wood and cherry walnut finishes. The glass bowl light fixture requires the use of three 40 watt bulbs which are included for your convenience. Delivering reversible airflow and three distinct fan speeds, this ceiling fan is of superior quality. Designed for larger rooms up to 485 sq. ft. in size, the Italian Countryside is a charming twist on refined elegance.